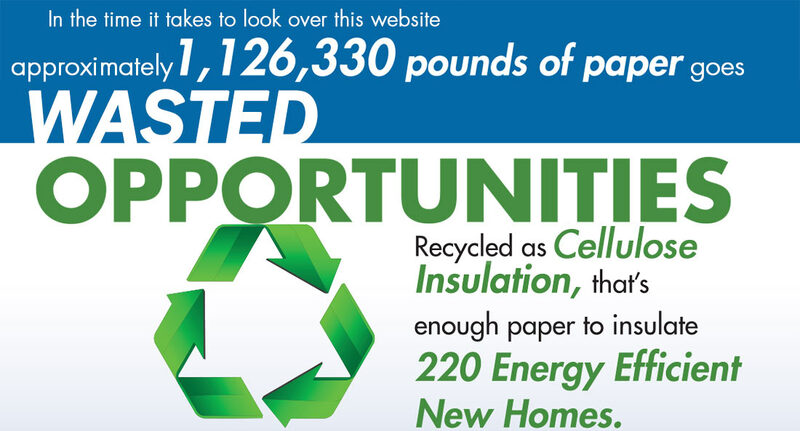 Cellulose insulation is made from up to 85% recycled waste paper. Cellulose Insulation is made with up to 85% recycled paper—most of it post-consumer waste paper like newspapers—and harmless chemicals to make it highly fire retardant. The paper normally comes from community based recycling programs. Paper drives, used for fund raising purposes by non-profit groups, also provide much of the newspapers used to produce cellulose insulation. When it comes to building insulations, none of the most common and popular products can come close to the recycled content found in cellulose insulation. One amazing fact that is often misunderstood by consumers is how insulation made from paper can actually reduce the spread of fire. The fire retardants in cellulose insulation are so effective that cellulose insulation is one of the most fire resistant building materials found in a home. Learn more about the fire rating for cellulose insulation and how CIMA producers also turn recycled paper into fire protection. Got Paper? Contact a CIMA producer member company about opportunities to turn it into cellulose insulation.